“A few weeks ago we had a visit from the Lovenskate crew , the well-known skateboard brand from London, a crew consisting of skaters of all styles with much callus, and more importantly, a people of whore mother (that’s what the online translator said, haha). While the Saav, David, Mole, Adri, Dani and a server were quietly spending the rainy Saturday afternoon in the indoor, there appeared a group of at least 15 English guys with a hunger to devour the bowl, and lio brown! The temperature increased, grew the energy, stop to music, sweat, beer, and “trucazos” speed, to finish the night with a good barbecue between friends. There are no more words to define the session, one of the best that we have lived in the ella so far, so here is the clip, the rest is superfluous. 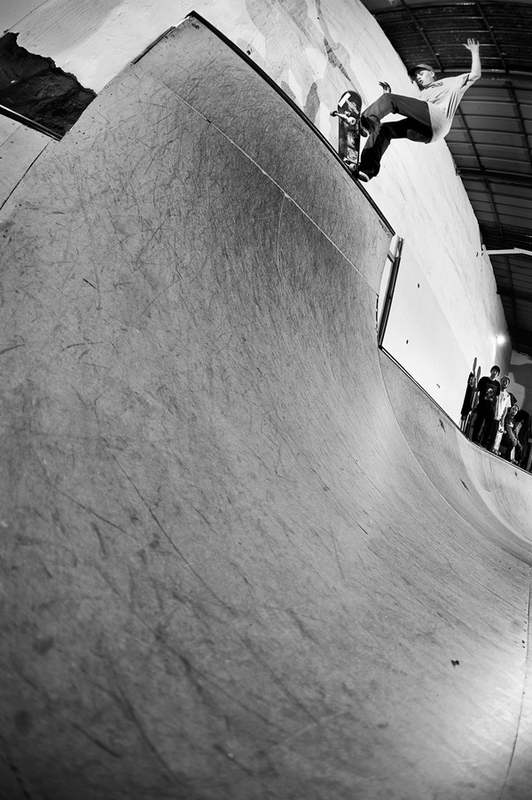 For full article on Lovenskates’ Bilbao tour, check issue #8 of Confusion Magazine, available here. Hace unas semanas recibimos la visita de la crew de Lovenskate, la conocida marca de skateboards londinense, una crew compuesta de skaters de todos los estilos con mucho callo, y lo que es mas importante, una gente de puta madre. Mientras los Saav, David, Mole, Adri, Dani y un servidor estabamos tranquilamente pasando la lluviosa tarde del sabado en el indoor, aparecio un grupo de al menos 15 ingleses con hambre de devorar el bowl, y se lio parda!! Subio la temperatura, crecio el engorile, musica a tope, sudor, cerveza, velocidad y trucazos, para acabar la noche con una buena barbacoa entre colegas, en nuestra linea. No hay mas palabras para definir la sesion, una de las mejores que hemos vivido en el gure hasta la fecha, asi que aqui teneis el clip, lo demas sobra. Si quereis saber mas sobre esta gente, echad un vistazo a esta web, www.lovenskate.com, ellos manejan, y si vais a londres no dejeis de visitarles, yo lo hare.